So I had been wanting to see this film for a while. I think I saw the trailer whilst watching The Greatest Showman (another great film for the 0.001% of the population who haven't seen it), and was intrigued. 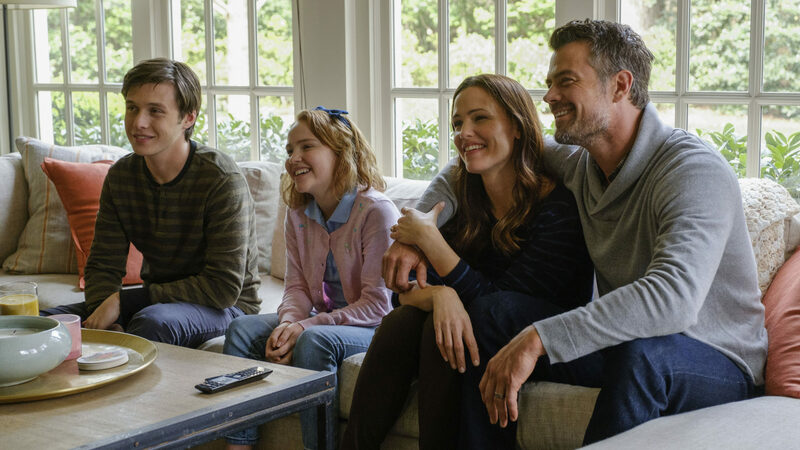 Featuring a great cast, from Nick Robinson, to Katherine Langford, Jennifer Garner and Josh Duhamel, it had the makings of a great film. Before I give my opinion...which to be fair, you would have guessed from the rating I have given it...I will give a little synopsis. The film is based around a high school student called Simon Spier. He seemingly has the perfect life, from a great group of friends to a picture-perfect home life. He is however, hiding a big secret. Simon is gay. Dealing with the thought of coming out to his friends and family is terrifying for him, and this film shows the struggles he faces. So, I loved this film. It was heartwarming, funny and charming. The acting was fabulous and the story touching. Every part of this film had me glued to the screen. As a sucker for rom-coms, I knew I would love this film.. It also has a killer soundtrack, which you know also helps. Everything about this film felt real. From the love that his family showed him when he came out, to the support his friends gave him. It did however, show the tough side of coming out and how cruel people can be. I would recommend this to anyone who loved romantic comedies, as it'll have you laughing and at times, holding back the tears. A beautiful film through and through, I now want to read the book it's based on, Simon Vs. The Homo Sapiens Agenda.